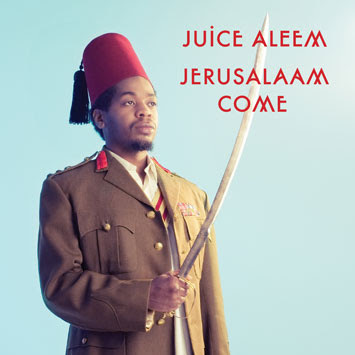 If you’re going to listen to a new Brit-rap album this summer – and it’s seldom advisable – rather than drink down the aural Horlicks of half-cocked conscientised bollocking arse-ache that is Speech Debelle, why not take a neat sip of Juice Aleem? The New Flesh main-bro and sometime Coldcut collaborator is already entering middle-age by this solo debut, and when ‘Jerusalaam…’ comes, it serves up neat rhymes stuffed with spry wit, while Blackitude’s feather-light production mixes well with Juice’s unflappably British lines about “beef curtains”. Like stablemate Roots Manuva, he comes across as a clever, chill bro who you could have a beer with and he’d listen to your problems and nod appropriately.